Each year, this organization awards scholarships to students who intend to pursue or further a career in communications. If you have a B or better average and are interested in this industry, you may qualify for one of these scholarships! For more information or to apply, click here. Applications are accepted through January 31, 2014. The Career Center during our Quick Question Hours! All students studying in Teacher Preparation Programs (including December 2013 and May 2014 graduates) are invited to attend this session to learn from a Department of Education representative about working in the DOE. Looking for information about different careers while building your professional network? 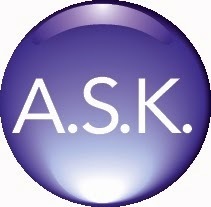 All you have to do is A.S.K.! Get answers by using the Alumni Student Konnection, where you can communicate directly with Hofstra Alumni in a variety of fields to learn more about different careers and industries that interest you! Use this resource to build or add to your professional network and learn about ways to advance your career search! Search by Class Year, School, Major, or other keywords to Konnect with Alumni! Looking for more information about the career search process? Candid Career is a great resource for students, no matter where you stand on your Path of Pride. You can watch videos that show you what it’s like to work in a certain field, learn tips and tricks on interviewing, and more!